architecture, interior design, furniture,product design and décor. - injects love in its details and construction; whether it be high-tech or handcrafted. A series featuring emerging artists and premier design voices in the fields of architecture, interior, product, and fashion design. A segment of her website is MoD Must Haves, where Michele highlight’s the latest buzz and design trends that she is totally obsessing over; which are novel, tactile and wondrous. MoD Narratives: where the product ignites experiences. Fresh Ideas with an Architectural eye. That sums up Michele Alfano interior architect and designer, philanthropist and blogger. As the daughter of a pioneer in the application of light and photonics technology, she was instilled to do more than what is expected, and to be passionate and inspired in all that she does. She loves the joint where two materials meet, the honesty in design and the beautiful expression of how things are made. Her use of color and luxe texture along with unique lighting effects create classic modern spaces. Then inject love: her outlook is to create an experience and weave a story with purity, boldness, the unexpected, amusing and the tactile. Michele graduated from Union College with a degree in Applied Mathematics and then went on to University at Buffalo for her Masters in Architecture. After a 18 year career in architecture, she finds herself drawn to interior style and design. Her eye focuses on the details where she has developed an Architectonic signature style - a masculine | luxe approach where a crisp modern point of view is fused with an imaginative use of color, form and texture. Whether in her own design work with Michele Alfano Design or for her blog MoDDesignGuru she seeks design that stimulates, fascinates, and engages. 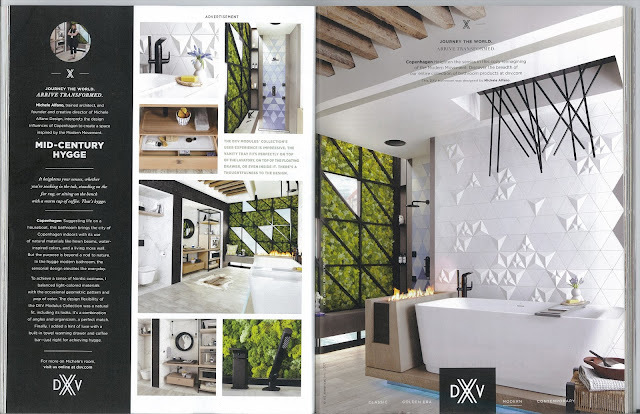 Michele's belief that design should focus on the human experience was brought to the forefront in her 2017-2018 AD campaign design for DXV, the luxury brand of American Standard. Her design has been seen in Elle Decor, Vanity Fair, Architectural Digest, Metropolitan Home and Interior Design Magazine. 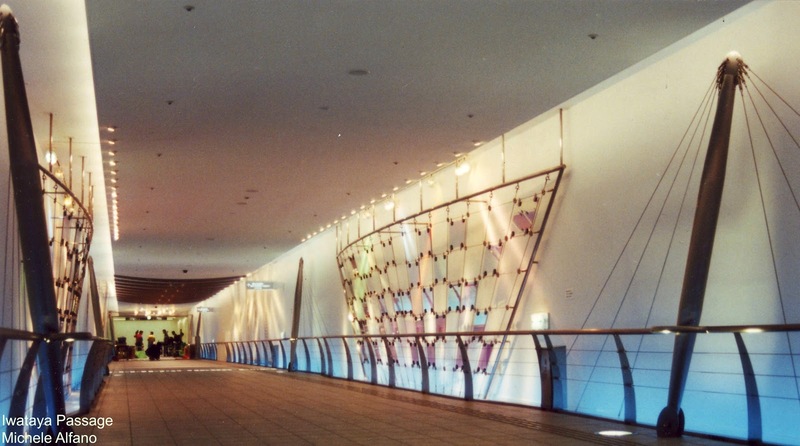 One of her past works reflects the humanistic philosophy in totality: the Iwataya Passage in Fukuoka, Japan, used multi-media, light and the feeling of water underground. 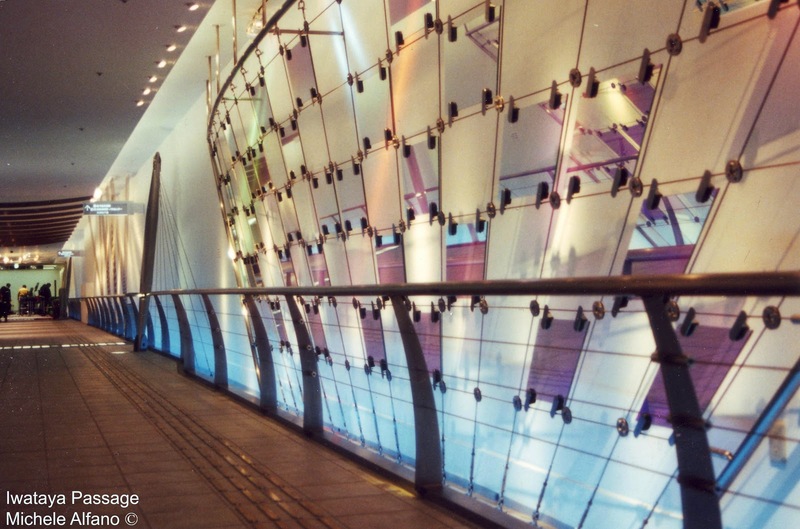 Users were met with the unexpected: crossing a bridge when in reality they are walking through a tunnel. The project was recognized by Architectural Record and Interior Magazine, and represents a career of significant awards including an AIA Honors Award. As an entrepreneur, she created MoDDesignGuru.com which has earned almost every accolade available for a design site. It’s more than a site – it’s a "design tank." The mission: to investigate how innovators are changing the way we live our lives today and tomorrow from emerging artists to premier design voices in the fields of architecture, interior, product and decor. Within four years of launching MoD Design Guru, the blog was voted Best Architecture Blog 2014 and Top 100 Interior Design Blogs that you should read and follow. With the blog, she has connected with brands and has gone global traveling to Spain with the Tile of Spain, Cologne Germany with Modenus Blog Tour 2012 and as well as Blog Tour California 2014, BlogTour Vegas 2016 and has been tapped by the Brizo brand to participate in Blogger 19- a select group of social media experts who attend New York Fashion week to see Jason Wu launch his couture collections each year. Michele loves her philanthropic work. As one of its premier designers for the past four years, she has designed unique picnic experiences for the DIFFA Picnic by Design Event (Design Industries Foundation Fighting AIDS) Picnic by Design. This charity event redefines the concept of a traditional picnic where 20 designers come together to create innovative picnic basket experiences on an urban rooftop. Last year the event turned into a contest where she tied with Gensler for the top prize. Her basket took the shape of giant headphones, with each end detaching to reveal embedded speakers perfect for summertime tunes. 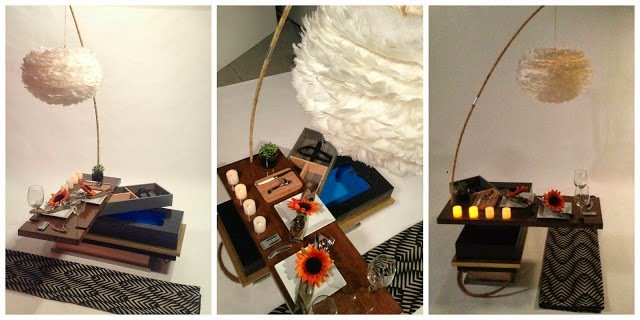 AUGUST 2015: TIED FIRST PLACE DIFFA PICNIC BY DESIGN EVENT -INTERIOR DESIGN MAG. OCTOBER 2014 SPONSORED TO GO ON MODENUS BLOGTOUR CALI 2014. SPONSERED BY MIELE, MR. STEAM, DXV BY AMERICAN STANDARD, ZEPHYR, WEST EDGE DESIGN,MODENUS. JULY 2014: LISTED IN BERKELEY COLLEGE RESOURCE WEBSITE FOR BLOGS AND MAGAZINES TO SUPPORT THEIR INTERIOR DESIGN PROGRAM. 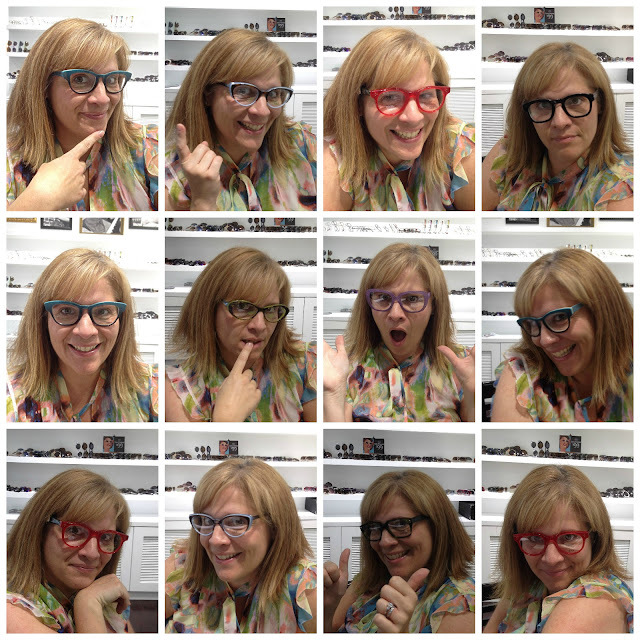 AUGUST 2013: INTERVIEWED ON BLOGTALKRADIO WITH GAIL ZAHTZ, DEMAND DESIGN. SEPTEMBER 2012: INVITED TO PARTICIPATE WITH 18 ELITE DESIGN INFLUENCERS ON BRIZO’S BLOGGER 19 FASHION WEEK EVENT WITH JASON WU AT THE MERCEDES BENZ FASHION WEEK 2012 IN NEW YORK CITY. 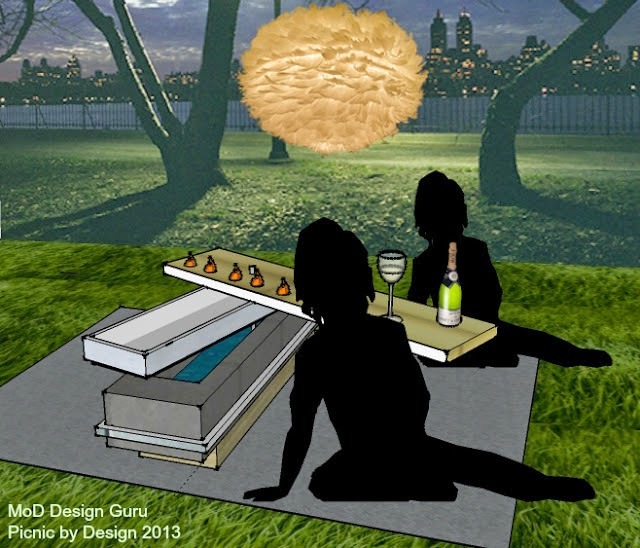 August 2012: INVITED TO PARTICIPATE IN DIFFA’S PICNIC BY DESIGN EVENT AMONGST 29 OTHER NYC DESIGNERS. June 2012, STICK OF THE WEEK Noodles on the wall BLOG. AWARD: 21ST ANNUAL INTERIORS INTERIORS AWARD FOR "BEST PUBLIC SPACE" FOR IWATAYA PASSAGE, FUKUOKA JAPAN. NOVEMBER 2014: KAYUCONNECTION ARTICLE-EXPERT ROUNDUP ON BEST HOME IMPROVEMENTS TO INCREASE THE VALUE OF YOUR HOME- 45 EXPERTS WEIGH IN. MAY 2014: DESIGN ADVICE ON LP GENERAL CONTRACTING: "HAVE FUN WITH TEXTURE AND PATTERN"
JULY 2014: SPOTTED ON SPACESCULPT BLOG: "FIVE CLEVER WAYS TO STYLE YOUR HOME WITH PLANTS." JUNE 18, 2013: CLEVELAND ONLINE MAGAZINE, SUNDAY CLEVELAND PLAIN DEALER SECTION. "RENTERS CAN ADD A MODERN EDGE WITH THESE STYLISH PRODUCTS." "The essence of good design is memorable design." "Love is in the connections." "Art can be found in unexpected ways." evokes emotion and stirs up a passionate response."